Connect the numbers according to the order to find the Aleph-Bet! Game Content: Game contains a 24-page block. 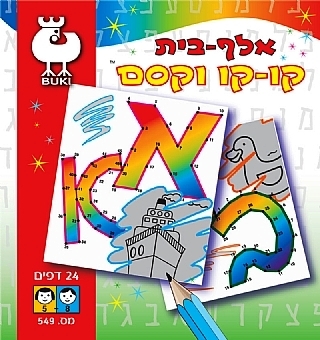 Each page has dots marked by numbers that by connecting them you create the Aleph-Bet. Game Content: Game contains a 19-page block. 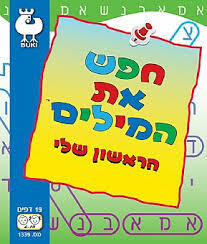 On each page you will find a list of related Hebrew words or expressions and a frame full of Hebrew letters. The booklet contains 24 pages. The first 21 pages contain 21 crossword puzzles of two types. Answers to the crossword puzzle are provided on pages 22-24. Format: 20 x 24 cm. Word find puzzles for beginners. A collection of entertaining word puzzles and games.